Whatsapp is the most used modern messaging system worldwide. The only drawback of whatsapp is that it need a data connection. If a user travel worldwide then the availablity of a data connection limited to the wifi available in the hotel. If you get a sim that is free on international roaming whatsapp is then it will be an awsome offer. Yes WhatSim is a special kind of sim card which provide free whatsapp usage world wide with international roaming. 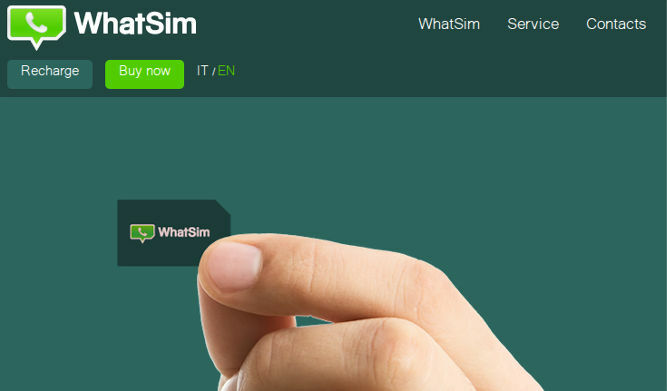 WhatSim is the worlds first sim card that make WhatsApp chat free for 150 countries with international roaming. 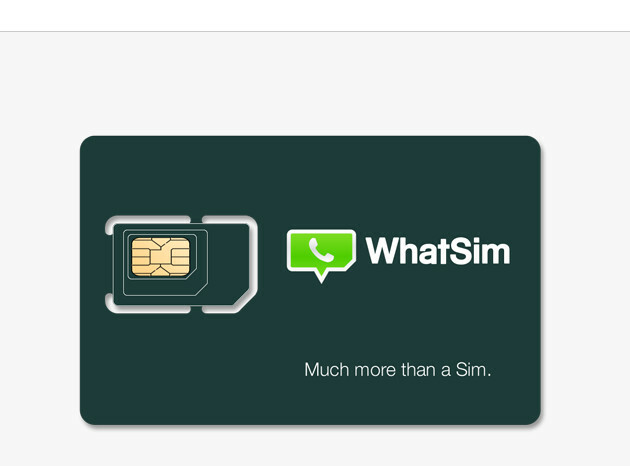 It works like a regular sim card with free WhatsApp and it does not need a data connection to chat with friends. Currently the text message is only available for Multimedia and video you want to buy a service. WhatSim company has a tieup with multiple mobile operators world wide. So the sim automatically select the best available signal operator to connect with and starts working. If the person goes to another place then the sim search another best operator and connect with that operator. So there is no problem of getting out of range or signal not available. Currently WhatSim connects to more than 400 operators in about 150 countries. Creating a Sim card that lets you chat with all phones. A Sim that is regular, micro, and nano all in one. WhatSim is all this and more. Credits are required to exchange voice, video or photos. You can check how much credit you need to exchange multimedia messages in your Country form here. WhatSim has been created by Manuel Zanella Rngineer, Founder and CEO of an Italian based company called Zeromobile. The sim card costs 10 EURO (In INR, approximately Rs.700), users will get a SIM card including the worldwide shipping charge 5 EURO (In INR, Rs.350 approx.) Be mindful that, It is free for one year only. And, unfortunately, the service is free only for text messages. For multimedia messages like Images, Audio, and Video you need to buy credits. In the Recharge section you can recharge from a minimum of €5 (1000 credits) up to a maximum of €50 (10,000 credits). Videos and voice messages are charged for a standard length of 10 seconds. If longer, they are charged in multiples of 10 seconds. For example, with a €5 recharge you receive 1,000 credits that allow you to exchange 50 photos, 10 videos or 200 voice messages in zone 1. Where Can I buy WhatSim? Want to buy one, well, you can get it from the official website link. Fill up your address details and hit the Buy Now button. If you’re travelling often, or struggling with expensive roaming charges, WhatSim might a suitable option for you. The people behind this service will expand their service to Facebook, Google+, Twitter etc. in future. so WhatsApp from anywhere in the world without data connection or wifi from hotel, starbuks, mcdonalds etc.. Remember the service is free only for first year. Eventhough it is a big advantage for a frequent traveller.